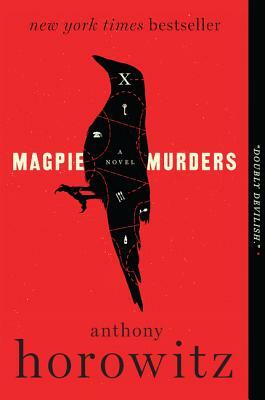 In his latest novel Anthony Horowitz cleverly pays homage to the classic murder mystery. The latest (and final) installation of the Detective Atticus Pund novels has been written, and we meet editor Susan Ryeland as she sits down to read it over. The manuscript takes place in a small English village in the 1950's and has all the makings of a classic Agatha Christie novel. As we read along with her, Susan is dismayed to discover that the final chapters (along with the solution to the mystery) are missing. The intrigue deepens when she finds out that Alan Conway, the author of the series, has turned up dead. As she searches for the final pages of the unpublished novel she begins to suspect that there may be foul play involved... and that the key to what really happened to Alan Conway may lie within the pages of his last book. This mystery-within-a-mystery is a double delight for anyone who loves a good old fashioned whodunnit!